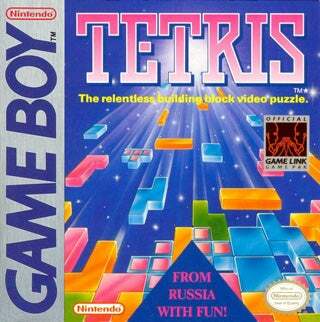 Tetris, our favorite non-vodka Russian export, turns 25 today. Unquestionably one of the greatest games of all time, Tetris is a bona fide cultural institution, responsible for wasting innumerable hours of time worldwide. Happy birthday, King of Puzzles! In honor of the only game to be branded with "FROM RUSSIA WITH FUN! ", let's all take a minute to let the Tetris theme song burrow its way into our brains one more time.